Tottenham Hotspur 5 Newcastle United 0 - Away Five Oh!! | NUFC Blog. Away Five Oh! Tottenham Hotspur 5, Newcastle United 0. 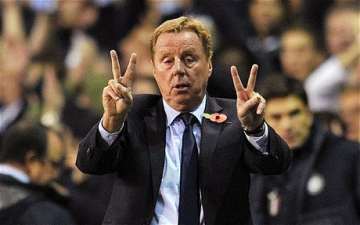 A double victory for Redknapp this week. For Newcastle United, this was a day to forget – started poorly, defended poorly, played poorly” Those words uttered by Sir Alan Shearer just about summed up this game for us. To be fair, Alan equally poured lavish praise on the performance of Tottenham Hotspur, who started well, attacked incisively with pace and skill, and pretty much outplayed us in every department. We can have no complaints. This was not a game where the score flattered to deceive, in fact it could have been a lot worse. Yes it might have been different if Tiote had been sitting in front of the defence, if Cabaye had been available to manufacture some bullets for our Senegal strike force to fire, if Ryan Taylor had been there to put the free kick over the wall, if Steven Taylor had been in defence. Sadly, that’s all ifs and buts. The truth is that the 11 men we sent out to play this game just weren’t at the races. Alan Pardew took the blame for getting his formation wrong, but how many of us before the game didn’t want to see both Ba and Cisse up front in our favoured 4-4-2 formation? Personally I expected Tottenham to score, especially against the defence we had out and without Tiote to protect it. So in my book we needed some potency up front. And looking at the players actually available to Pardew, there wasn’t a great deal of scope to change things in a way which would have produced an improvement. Sir Kevin Keegan, a pundit on ESPN these days hit the nail on the head. “This Newcastle team reminds me of my own team when I was manager… but it’s dangerous to go to Spurs gung-ho”. That wasn’t hindsight, by the way, that was Kevin speaking before the game. Tottenham then handled the ball in the area on 12 minutes, right in front of referee Andre Marriner, who just pretended it hadn’t happened. It was becoming obvious this wasn’t going to be our day. Cisse at this stage was foraging for the ball as a right winger, and managed to put in a couple of good crosses which no-one got on the end of – he can’t be expected to be in two places at once, I suppose. Kyle Walker was booked for a tackle on Perch 7 minutes before half time whilst the Spurs fans demonstrated their mathematical prowess by telling everyone that there was “only one Harry Redknapp”. Shane Ferguson started the second half as a replacement for Gabriel Obertan. Personally I couldn’t believe how quiet the Spurs fans were – 4-0 up with their team in total command stroking the ball around and yet it was like a library. We continued to give the ball away freely on the odd occasion we managed to get hold of it, and Tottenham were playing at practice match pace, no doubt wanting to take a breather. At this point Redknapp took pity on us and sent on Defoe and Lennon, who came on in place of Saha and Bale. Our Silver Supremo responded by sending on Gosling for Papiss Cisse. One of Gosling’s first acts was to chop down Lennon and get himself a yellow card for his trouble. On 74 minutes Ledley King was replaced by ex-Blackburn Rover Ryan Nelson. Three minutes later Guthrie hit a good cross into the box which Ba got on the end of and headed at Friedel, the ball then bounced to Gosling who hit it over the bar when it would have been easier to score. Defoe provided Adebayor with a couple of good chances which he thankfully scorned. With 4 minutes left, Lovenkrands came on for Guthrie, and shortly afterwards Defoe blatantly dived in the box trying to get a penalty but wasn’t booked. The Geordie faithful woke the Tottenham fans up with the usual chant about the quality of their support. Spurs fans responded questioning the quality of the United’s defence – can’t argue with them there. And that was pretty much it as the game fizzled out. Just one of those games really, best forgotten. Our passing was largely abysmal and we didn’t press the ball the way we normally do – we gave them the space to play in and they took full advantage of it. Positives we can take from the game? Well, Cabaye, Tiote and Ryan Taylor will be back for the next game. And even after this defeat we’re still incredibly only one point off fourth place with everything to play for. But I suppose the biggest plus is that we won’t have to play a side every week in the form that Spurs showed here. Oh yes – and we must be improving, as we only lost the second half 1-0! Man of the Match? We didn’t have one. Subs: Carlo Cudicini, Aaron Lennon, Jermain Defoe, Danny Rose, Jake Livermore, Ryan Nelsen, Bongani Khumalo. Subs: Rob Elliot, Hatem Ben Arfa, Peter Lovenkrands, Mehdi Abeid, Dan Gosling, Shola Ameobi, Shane Ferguson. Goals: Benoit Assou-Ekotto (4), Louis Saha (6. 20) Niko Kranjcar (34), Emannuel Adebayor 64. Yellow Cards: Scott Parker (24), Kyle Walker (39), Dan Gosling (69). And to be fair they had Van Der Vaart, Lennon and Kaboul missing from their first XI. Plus Gallas and Sandro not fit for selection. We have done well and are punching above our weight, but we caught them on a day when they were celebrating and wanted to deliver for the manager. Move on and see whether we can somehow sneak 4th. Very unlikely but you never know with Chelsea and Arsenal in Champions League still. What a bitter little Geordie you are. You got a footballing lesson and your only way to try and quell your anger is to have immature and inane pops at spurs and their fans. “Spurs fans demonstrated their mathematical prowess” and “It was like a library”. I’m not sure you actually went to the game or perhaps your hearing is as impaired as your intelligence. Swallow your pride and show the magnanimity spurs’ performance deserved. Basically… Grow up you child. From what I saw of the highlights on MOTD, we were poorly organised defensively and the blame for that can only be laid on one doorstep. Any team outplayed and outskilled as we were, should be able to restrict any team (other than Barca perhaps and Spurs are no Barca) to less goals than they got. Still whats done is done and with two home games coming up and the heart of our defence returning we should be able to bounce back. Every other team (bar ManC ?) has had a thrashing this season so we shouldn’t be too upset, so long as it don’t happen again. On a different note I watched the Suares/Evra non handshake closely and it seems to me that Evra was just as much to blame for it not happening. He was very slow in proffering his hand (as was Suares) but Evra was very quick to make it look like Suares’s fault. I seriously can not see Suares (I know I’m getting the spelling wrong but can’t be bothered to check it) be a racist he plays with black players and there doesnt seem to be a problem there at LPool. They should take a leaf out of the Fight Club motto and anything said in the heat of a moment should stay on the pitch. If I was playing a game I love and getting £100K a week you could call me as many names as you like on the pitch. OK off it is a different matter, but there is not the same testosterone fuelled environment to contend with. Anyway thats my opinion right or wrong! Stoney – you’re upset, I can tell LOL! Read the article again – your team’s “football lesson” is well documented therein. Crowd noise and passion are all relative – we’re used to more of it at St James’ Park, that’s all. Places like WHL and the Emirates therefore strike us as relatively quiet. The “mathematical prowess” comment was meant as humorous – look up “humour” – it sounds like you could do with a transplant of some. UTD111 – “Places like WHL and the Emirates”?? You obviously haven’t been to these two places if you’re willing to put them together in the same bracket. WHL is one of the best grounds for atmosphere in the country. Maybe if the Newcastle team had put up a bit more of a fight, the Spurs fans would have felt the need to turn it up to 11 to push their boys over the line. As it was, the home crowd were in the fortunate position of being able to relax and enjoy the show. Same old story – we don’t have good enough players to win away with a 4-4-2. I know it – you know it. So why on earth did we do it? At least with a 5 man midfield (including a man to cover the back 4) we stand a chance of a draw. Be honest – how many goals did anyone think we were going to score? We were beat at 2-0 cos there is no way (barring a fluke) our formation could get us back into the game. It was naive going to a better team like Spurs and trying to outscore them – so pick a team formation & tactics to hold on for a point ! It was the only professional way to play this match – so why didn’t we? I thought your description of the game was fair, but you did leave out the very odd yellows that Spurs got and the same challenges being don’t given a second glance when your players did them. In truth, I like Newcastle and would prefer you to get 4th over Chelski and Scum. Looking at your team I don’t think its behold you. However I have to agree with Stoney that insulting the Spurs fans doesn’t make much sense as anyone whom was there could tell you, most of the game we were singing for Harry to stay. The game was over within the first 20mins, due to Adey and Saha taking the game from you. In truth, the defending wasn’t the best. Yet I’m sure you have defended worse and gotten something from the game. I am not going to tell you to grow up or anything as if you need to vent then okay, but in truth both sets of fans were great. No trouble and some good banter. As in truth we all like a good game or attacking football, its why I love watching matches against you lot. Come on it could be worse, we could of been watching the racist play. It wasn’t the loudest the Lane has been. Often it is noted as one of the noisiest and atmospheric grounds. Even Arsenal players admit that. The big tight games go like that lets say, whilst yesterday I think we were a bit spoiled and just enjoed the performance. A routine win and a routine crowd + focus on Redknapp. Any group of fans can take off their shirts in winter and have a good time when 5-0 down or in The Championship or whatever. Excitable fans are often so due to them having little else to be happy about. Perhaps if there’s ever a big enough game between the two sides you will properly experience the passion of the Spurs fans who don’t need to be so clownish about their support. As for mathematical prowess etc… I always wondered about Toon fans memories when they would ask Sheareer how he scored that goal after just seeing it! But then football songs aren’t necesaarily logical which we all know and most don’t even think about such meaningless things let alone including it in a match report. Match reports are spot on. We were taken apart. 1 was at the match and the home support was subdued compared with our own. Good banter in pub before hand and friendly fans, probably sorry for us. Newcastle man of the match, every away supporter who was here and at the Fulham game. Arsenal next. Revan1882 – thanks for the comments! That wasn’t me venting – you should hear me when I do!! I was just telling it as I saw it. I didn’t think my remarks about the fans were particularly critical? Take away the ‘Arry chants and I stand by my comment that Spuds fans were relatively quiet – for whatever reason. If we had 21 points not 42 it would be considered suicidal approaching the match the way we did – we are deluding ourselves expecting to beat Spurs – so be realistic, a point would have been a great result. 6th in the table is impressive but don’t get carried away – 7th-8th will be a good season, but we will throw it away with delusional kamikazi football like this. Supermac@12 Totally agree – actually, the way the earlier Liverpool result went, it was almost a game where we could relax a bit – but I didn’t expect the defence to relax quite as much as they did LOL! UTD111- I understand that you might think it wasn’t as loud as you might have it at The Sports Direct Arena…. sorry couldn’t help it. Yet like others have said, its a game that was over far earlier than anyone would of thought. So the focus did shift from the game to Harry. I know as a group of fans we get behind the team when its needed and really enjoy the matches. Yes we don’t remove our tops, but sadly only the toon men do at the games. Now if you could get Cheryl Cole to do that at the games then I would see the point, just an idea but yesterday if she had done that at least both fans would of went home happy. Look up ‘condescending tool’ and ‘humourless pratt’ in your dictionary. It wil have a picture of you next to the words. I say picture because you obviously struggle to command the English language so a barrage of words would just confuse you further. 5-0 pal. I’m far from upset. You’re the one that’s upset. And it’s called the Sports Direct Arena, not St James’ Park. It’s name by a cockney who’s shop sells jock straps, speedos, sports bras and an abundance of Lycra. Not forgetting the Geordie Sunday best… The shell suit. LEL. If Cheryl Cole took her top off I’d be disappointed if I didn’t see BOTH points mate LOL! Haha Stoney – showing your lack of knowledge there mate! Ashley isn’t a cockney – unless you lads have now annexed Buckinghamshire…. You take the prize for “Grumpiest Person After A 5-0 Win” by the way. Have a nice day, son. People from the more select parts of North London tend to support Arsenal. Are your pants on fire? You don’t live in north London. Because if you did you’d know that tottenham is predominantly a black African population, they don’t wear shell suits ever, and wood green is Turkish, they never wear shell suits either. Move along now. You’re a class act Stoney mate – trying to tell folks where they do or don’t live now! I thought folk in Tottenham were largely hoodies who riot and smash up shops – saw it on the telly. If you can’t even remember the names of the players involved in a game less than 24 hours ago – can we really trust your judgement on what was “blatant” or not? Bar the Arry chanting, it was a bit quiet at WHL yesterday. As a fan of football – regardless of what sides are playing – you’ve got to admit there were times when the football on display by Spurs yesterday was simply breathtaking. There was one move between our defence and right midfield which involved 3 triangles, and players moving in circles through the Toon army. The final ball by Saha in this instance wasn’t up to scratch but the passing display on show yesterday (and yes we know we’re not Catalan) was as good as anything Barcelona can muster. You see, sometimes you’ve got to just sit back and appreciate the artistry. Geordie fans are usually great. Although I now understand it was intended as humour, the dig about WHL being a library like the Emptycrates is not going to win you much support. Likewise anyone saying that those who live in the nicer parts of North London support Le Arse, is hardly going to get promoted from their would-you-like-to-have-fries-with-that-sir” tenure. All my best wishes to you in challenging for 4th spot. I would love it if you beat Chelsea, Arsenal and Liverpool to 4th spot. Love it! As Sir Bobby said “People want success. It’s like coffee, they want instant”. Have patience. Until we (or others) start buying up Ba, Krul, Tiote, Cabaye etc, you’ve got the start of an excellent team. In other words have a great rest of the season. Soh ! bit of a reality check eh ? Face it on paper the side we put out should have been beaten by most EPL sides. We certainly are missing the aggressive defending of Taylor, throwing his body in front of the ball an inspiration by example. I wont be obvious and add the fact our two excellent inside midfielders were missing (woops! just did)one to take pressure from the defenders, the other in the playmaker role. Looks like their fill ins are just no where close to being able to handle either role and do i have to state the obvious when the best we can chuck out there in midfield is Perch, for gods sake! Yep! we flatter to decieve at times but the reality is we are far from being close to the finished product as a side it’s all about quality in depth, or lack of it. Also about priorities, when faced with the obvious defensive problem(Taylors absence)what do we do ? We go out and spend ten million on a striker ? I have to say that the Goslings and Guthries, the Obertans and Williamsons, not to mention Smith , Lovenkrands and Perch, did i miss someone ? Well for the most part should be on the “For Sale” list. Some are over the hill some will never be anything but bench players, others lack consistency etc. If i were Mike i would be looking to strengthen the side with at least one decent central defender and hopefully someone who can fill in accross the back four. Perhaps the club might relax the moneyball approach, “younger, cheaper and better” and instead look at a few veterans to fill the quality in depth problem. There are a number of older players who could be signed and would be an asset to the side, experienced players who could be signed on short term contracts, but hey, whaddo i know ? Anyhow ! the depth problem has to be taken care of this summer if in fact there`s any ambition to be a presence in the EPL. Toon were bad yesterday, spurs gave us a hiding. Move on we’re safe need a reality check we got that yesterday. Punching above our weight how many predicted we’d be riding high in league this year ? and we’re the Best cos the rest are a pretty poor bunch. Pardew has done a good job to get us where we are = but him & this team have peaked. We need 3-4 decent players – if we get 2-3 for about £8m each we will consolidate our position as Best of the Rest, but to move on it will require a big investment – which I’m afraid I just can’t see happening. Yep we’ve peaked and best of the rest is correct Supermac. I would love us to be back at the very top, but as you say, we’ll need massive investment… Which ain’t happening. Wasn’t the team we set out against Spurs, pretty much the same that drew at Old Trafford… As in Pardew saying we played “too many attacking players” yesterday, which is why we lost? Didn’t we play a similar team at Man City that performed rather well despite the defeat? Think Spurs played well, but we were so bad it was embarrassing to watch. Pardew cannot help it if our players, especially Obertan, Simpson and Williamson, do not do basics such as mark players properly, or track back and stop drifting inside. It was a very off day for our lads, they’ll do better next time. Bring on Wolves. Well of course Hugh left the Swansea game out of the Prediction League, as far as he’s concerned Wales shouldn’t exist and Norwich is a town full of houses named ‘Dinglewood Tangle’. You are dealing with a buffoon. The man played in a punk band: he played the triangle, fgs, heavy-ish metal. This is a man who wears hats without a jaunty attitude, and believes that tucking his jumpers into his unfeasibly large Primark slacks is a fashion statement. Letting Hugh run a competition is like letting Harry Redknapp run the economy. Top and missed a week. Not bad! Cheered me up no end LOL! Long story short… Spurs played like a Champions League side, we played like a relegation side. Pardew’s “little project” had a reality check. Got pace to waste, can play either up front or AM/ winger and will get his goals. Then we need help at the back, mainly a quality CD and a utility defender who can fill in accross the back line. If Tiote stays, we should perhaps hold onto Guthrie to replace him (injuries- cards) or perhas start looking for a decent replacement for Tiote if there’s an intention of selling him. Looks like Ba is willing to stay and could be no one wants to take a chance on his knee, fine by me, but as a striking pair, both he and Cisse have to show me how they can work to-gether up front. Marveaux appears to be on his way back, so we have him, HBA, Cabaye, Tiote, Jonas, Guthrie, Obertan, Gosling, Young Ferguson, Sammy A., and Abeid. Thats a fairly decent bunch of midfielders, add Hoilett to the mix and who knows? Having been given an opportunity finally, it appears David Santon is looking very much like a five million pound man, in the attacking wingback role (Enrique 2 ?) but apart from Collo the rest of the back four are not playing well, with possibly Simpson moving on due to contractual stuff. Guess rome was’nt built in a day, on the other hand how long did it take Arry? (who can ardly read n’ write) to put a pretty decent side to-gether. Obviously defense is the area that needs strengthening most, get your act ready Mike. with the weight loss, almost did’nt recognise the geezer at first glance. A few years ago we were kneck & kneck with spurs & villa – since then we’ve gone down & come back, villa have stagnated, but spurs have invested & developed – they now have two years on us and thats how long it will take us to get back to their standard and be able to compete with them. BTW – what happened to spurs’ Bentley? He looked a great prospect – is he out on loan? Could be worth getting if they don’t want him, he looked a classy player. I can’t believe how dim they were there, it was approaching Newcastle United levels of incompetence. It could happen again when Redknapp leaves. We beat man-scum-chester utd 5-0 and they still won premiership. Very bad result for us but one match does not make a season. Spurs played like barca and were fantastic. Pardew was right to play an attacking team, we are safe and have to go for top four and we are still in contention. Egg on face but what the hell, would have paid a fortune to be where we are today. Away the lads!!!! Ps. Utd111 thanks for the welcome to the blob mate. Supermac, his last loan was to West Ham, then he knacked his knee in a major way and they sent him back I think? A bit of overreaction is normal, I guess. Spurs were better all over the pitch but at least three of those goals wouldn’t have happened if individual players hadn’t shut off. Our midfield and defense all had a day to forget but Perch, Guthrie and Obertan all had chances to prevent goals. We did have a lot of squad players in the side-Perch, Williamson, Obertan, Guthrie-so we’ll hope to do better. I also feel like Santon is a defensive liability but hopefully he’ll improve as foreign defenders sometimes do. Arsenal and the mancs also got stuffed this season. It happens. Moving on should be relatively easy with the media focus squarely on the circuses at the FA and LFC. The only thing that worries me in the long term is AP’s tactics. It never feels like we have a system that creates goalscoring opportunities. We rely on individual talents and also do pretty well with set pieces. IMO, fixing this is just as important as investing in squad depth if we want to push on. AP looks like a very, very English manager to me who wants to get it done with athleticism and thinks of changes to the squad purely in terms of personnel and not tactics. He needs to bring in someone who can get beyond that. This squad shouldn’t have so much trouble scoring. I almost always agree with your opinions tunyc and this is just another common sense viewpoint! Pardwho has no real gameplan other than to stick with 4-4-2 and the players he favours. So no HBA when he’s needed yet a place for Obertan. Bottom line is Pardwho has won 2 out of 15 games against the so called top six (Mancs, Chelski, Gooners, Red BD’s and Spuds) yet one of those was the first home game he presided over against Liverpool. So in reality his record is 1 from 14 which indicates he’s not the man to take this club forward. OK Pardwho’ll keep us up yet CH would have done the same. So why did we get rid of a manager who can keep us up for another manager who can keep us up ? Oh dear, Drogba tries to hit a passing aircraft instead of the goal again. needed somebody comfortable in possesion against spuds who isnt afraid of being closed down, ben arfa every time he has his head up and is a clever lad, not like head down obertan ,maybe our strikers would have seen some more ball if benny were released on the prem, he is due a good good run of games now! ive said this for a while now. but if you put shola in midfield for games like spuds he would have been able to defend against adebola and make his life difficult. we dont exactly have a tall team and i think sticking shola on just to get in the way(something he is amazing at, even with his own team) then im sure he could have helped stop the rot. with tiote and cabaye gone it would have gave us some depth instead of perch, who ive heard has just as good a game as any of the rest of the team. i didnt watch the game so im not sure how we played but on the bus coming home from london people didnt seem to rate our game too highly. Adebayor’s assists came off of his feet, not his head. Not sure what Shola’s gonna do about that. He was their most advanced forward, he’s for the CBs. If Tiote or Cabaye were there, I’m guessing we’d have picked up Saha getting into the box late for his two goals. As it was he ran 15-20 yards completely unmarked. For the first, we just needed Obertan to do something more than watch as Assou-Ekotto runs by him from 30 yards behind the play. Thought from this weekend: I’ve often been told that Obertan needs to be given time & appearances to adjust to the PL. As of today, HBA has fewer than half as many PL appearances as Obertan. Food for thought. Worky new article for you in the drafts. I’ve sent a picture to your email. Cheers Jimbob, it’s up now. Hope I got it right?